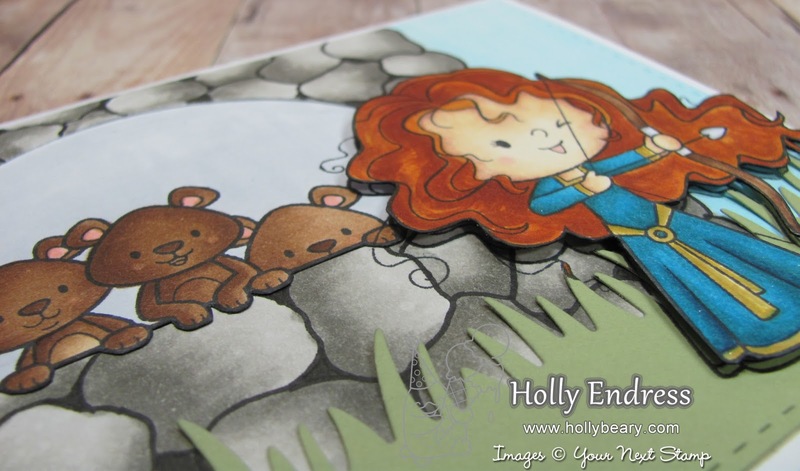 Hollybeary Creations : YNS Jan Release!!! It's time for the January New Release at Your Next Stamp.. and this month the sets are super cute!! Then again they are cute every month... Right? My first project uses the new set Little Darling Archer.. I created a fun stone wall background for the little bears to peek out of. I hand drew the wall and colored the stones in with my Copics. I die cut a window using the Peek a Boo Window die set. 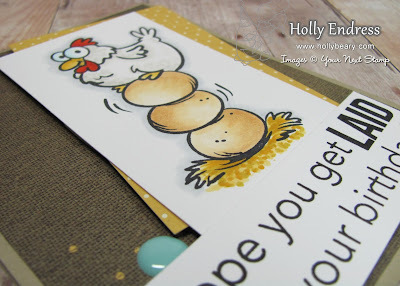 Then I created a grass area using a die and I stamped the Little Darling image onto a piece of White card stock and colored her in with Copics as well. I fussy cut her out and added her onto the main panel with some dimensional adhesive. The sentiment is on the inside of the card. My second project using the cut new set Mother Hen.. I love the sentiments in this one! Are you ready to Hop along for a chance to win a $25 GC to the YNS store.. Be sure to leave a comment on each blog for you chance to win! And don't forget about the special sale! Let's get Hopping, Follow along with the Linky Below!!! Very sweet cards. Lovely colouring. 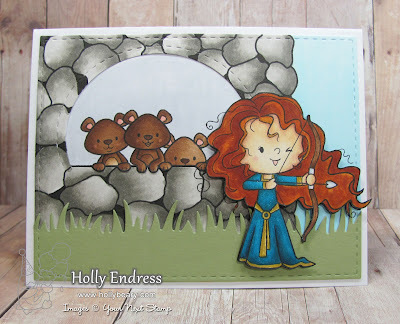 Love the card~I loved the movie "Brave" especially the three bears(brothers)! LOVE the fact that you created your own stone wall, Holly! Such fabulousness right there! Holly, one word - WOW! Like the coloring. The Archer image reminds me of the Pixar movie Brave. The chicken creation has a whimsy sentiment. The Little Archer is absolutely gorgeous. I love all the detail to this card. Beautiful. Beautiful inking and coloring work on your cards! Beautiful cards!!! Love the rock wall you created on the first one!!! Really makes the scene complete!!!! Love the last card as well!! Hehe. Great coloring!! Cute cards--I like your coloring and the adorable bears. Totally AWESOME cards, Holly!! The first one is just gorgeous, and I love howyou colored everything! Amazing! And the second one's layout is just perfect! GREAT job!! What an adorable story-book scene!! I know it been said, but it deserves repeating...your wall is amazing! It is perfect for the stamp set and combining it with the window and the bears popping out just makes it over the top cute!!! Really cute project. Love the sence in your first card. Wow these are both awesome! I love your coloring and that fun sentiment! Great job! Both cards are awesome! Your coloring is fantastic!! I love both of them. My husband would get a laugh at the second card. The first card is adorable and shows girls they can accomplish things. Darling cards. Your drawing talent and coloring skill made these truly fantastic cards. Love your use of color and free hand drawing for your cards. Awesome work on the wall!! Love the first card, great detail! Both cards are wonderful. Your shading on the stones and eggs is fantastic! Wow, that's awesome that you hand drew the wall! I love the bears peeking through! So sweet! Two adorable cards! Your stone wall is fabulous! and your coloring is so pretty. 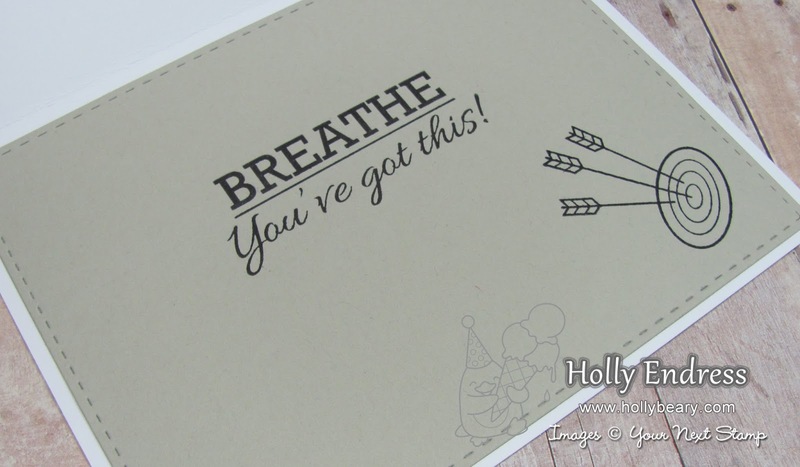 Your cards are beautifully created! 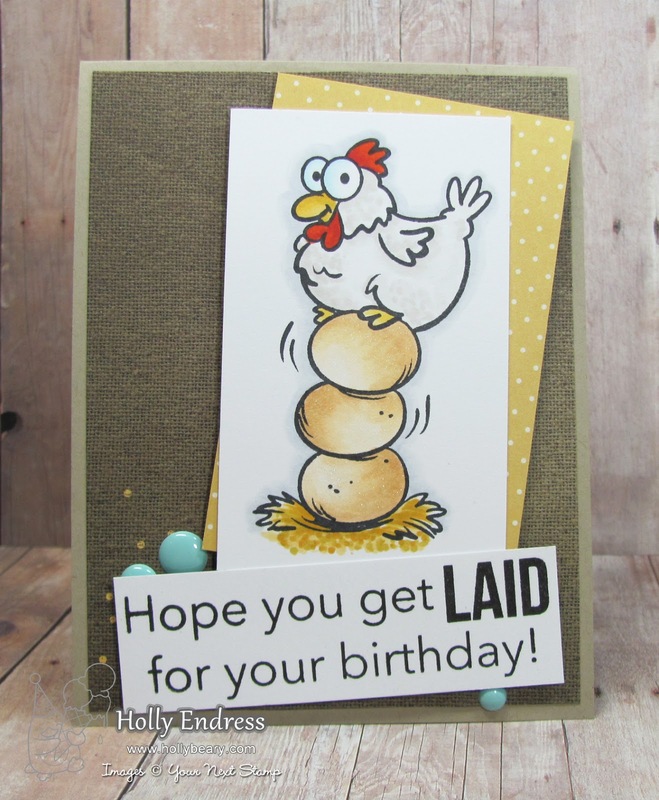 You gave me a good smile with your Mother Hen card, the sentiment is just to funny! Awesome cards! I love the peek a boo window with the 3 adorable besrs! Such a great inspirational sentiment too! 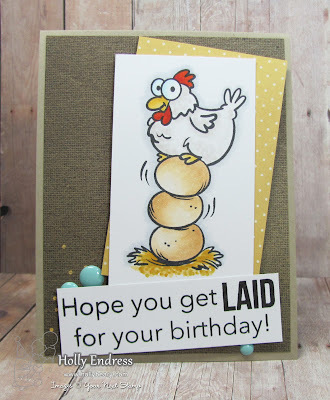 Your hen card is hilarious! So much fun! Super cute creations with adorable coloring! Love both of your cards. The bears looking over the stone wall is going to have me smiling all day. oh my Goodness......Love the card featuring you and those cute bears!!! hee hee and what a hoot of sentiment on the second wonderful card!!!! Both cards are so very cute! Cute cards! Love the bears peeking over the wall in the first one!